How did I get myself into this? I am on all fours, hands and knees scraping downwards along tunnels that were themselves scraped out thousands of years ago. 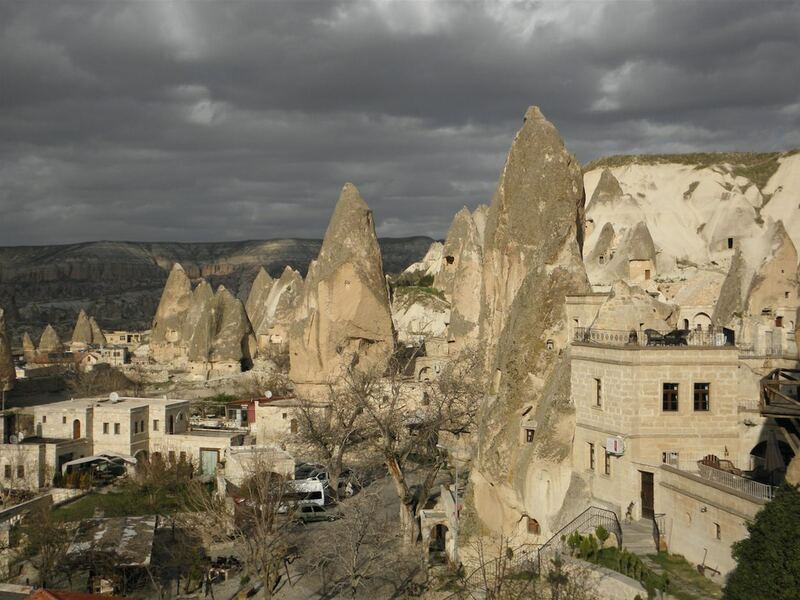 According to historians, a tribe called Hittites settled here about 2000 BC, followed by Assyrians, Lycians, Persians and the Kimmerians who settled down one after the other in this barren, arid region largely known as Cappadocia. Yesterday, I was in a different kind of landscape, climbing upwards on volcanic rock. Today, I am locked inside tunnels in the underground city of Kaymakli, which draws hundreds of thousands of visitors annually. So, I am not alone inside. Just alone in my irrational fear. What if the walls collapse? Watching paranoia writ large on my face, my lovely guide Gulsen Cavdar diverts by, “Look, that’s where they used to make flour and that room to the left was where wines were stored.” Snap! I am back to being Alice in Wonderland. And so it is. A wonderland! Consider this. Centuries ago, humans like you and me, lived, loved, ate, drank, slept underground for months on end, never seeing the sun, as invading marauders above ground lay siege to their habitations! Descending lower to the fourth level, we walk along a long gallery that leads to the communal kitchen. Here, there must have been women too, some in charge of food storage areas and others cooking in the ovens. How did they get along with each other? How did they rear infants while their husbands were constantly occupied building barricades to block the passages to stop enemies from coming in? Mind boggling thoughts, yes. They say travel broadens the mind. Just one visit to this troglodyte underground city of Kaymakli brings intriguing insights into so many tribes and civilisations that sought refuge here over the centuries. 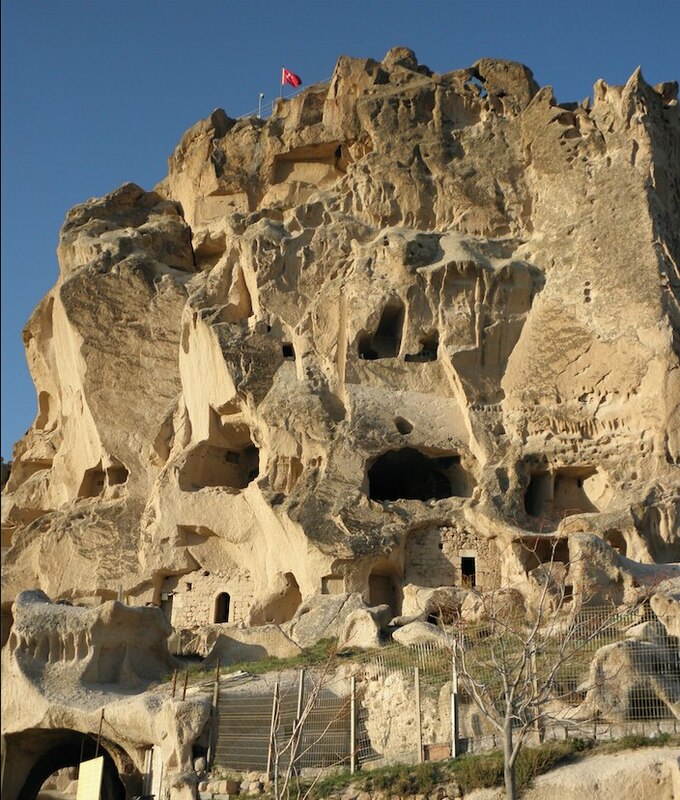 Kaymakli is only one of 36 such underground cities in Cappadocia and the most tourist-friendly. 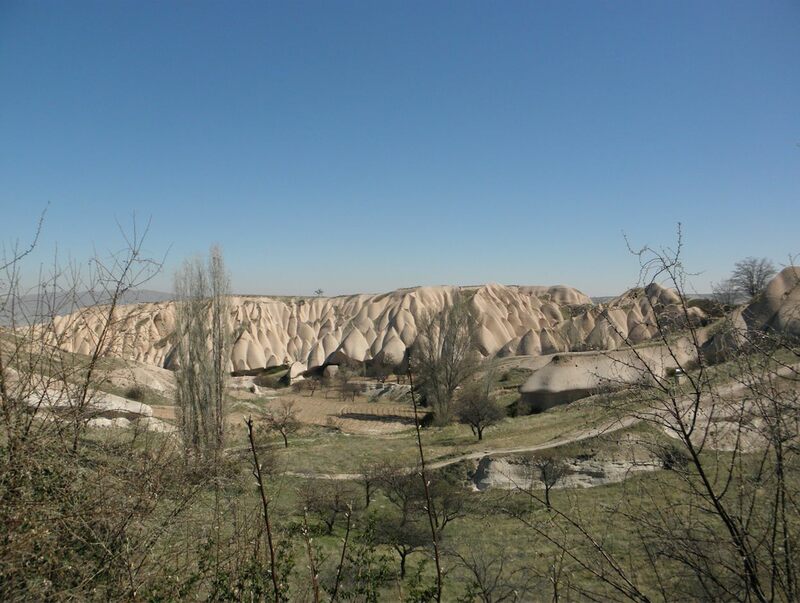 And finally I begin to understand what really constitutes Cappadocia (meaning Land of the Horses). 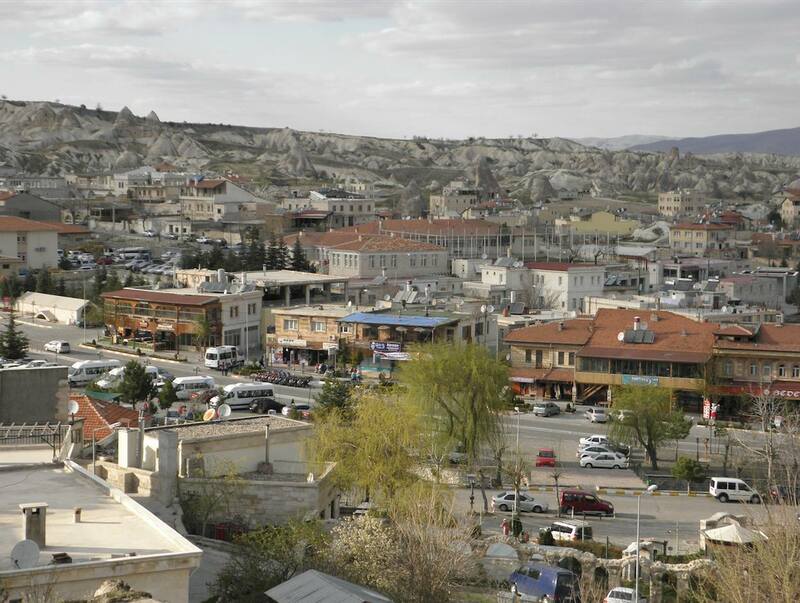 It’s not a city, but a large historical region in Turkey’s state of Anatolia that includes five provinces: Nevehir, Kayseri, Kirehir, Aksaray, and Niğde. 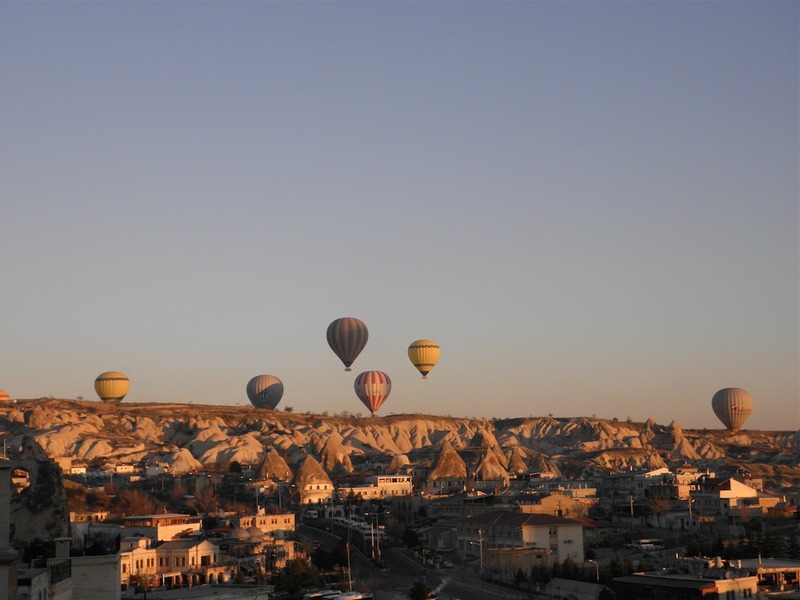 So why visit Cappadocia? There is no place quite like it on our planet. It’s full of exceptional natural wonders like fairy chimneys sculpted out of volcanic rock and used as graves during the Roman Period. These cream and burnt amber-coloured, needle-pointed rocks have dovecotes cut into them, where carrier pigeons were trained and reared. 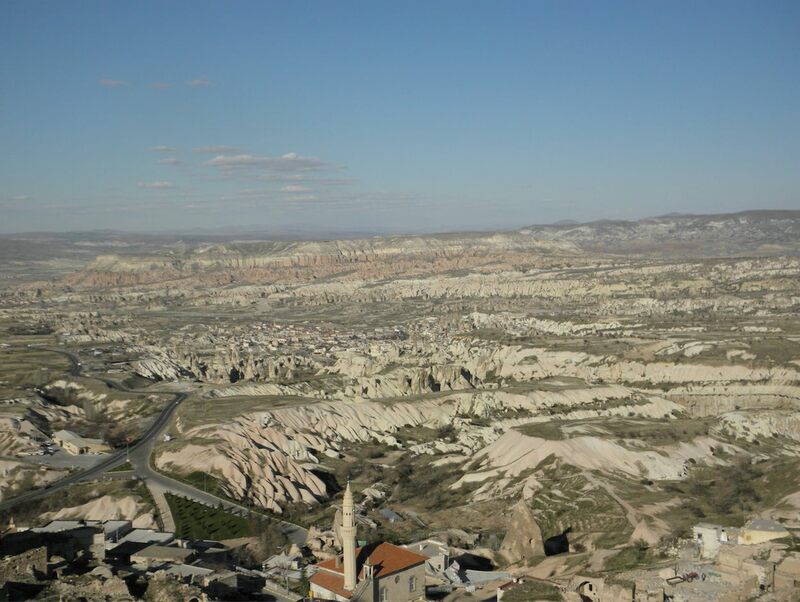 To get an eagle-eye view of the marvels, climb up to the top of the ruined castle of Uchisar. It’s the highest point in the region and gifts the vision with a magnificent panoramic view. Legend has it that in towns like Uchisar, underground tunnels ran from the tops of castles and citadels to valley floors for defence and escape purposes. A 10-minute drive away lie poetically named valleys – Love! Rose Red! Imagination! What are we supposed to imagine? Animal formations, naturally carved out by centuries of strong winds. The camel-shaped rock is the easiest to spot. 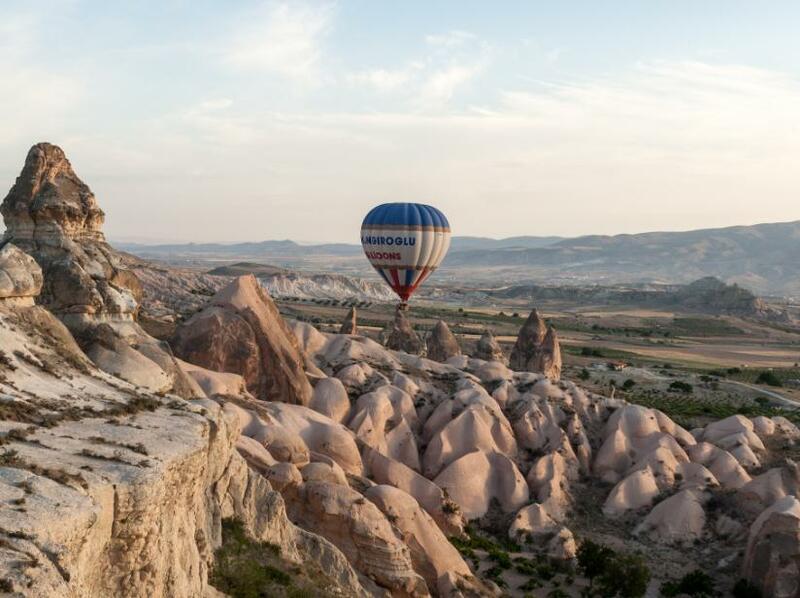 My curiosity about what it must have been like to live like the Flintstones was satiated by my three nights stay in the Cappadocia Cave Suites located in the city of Goreme. 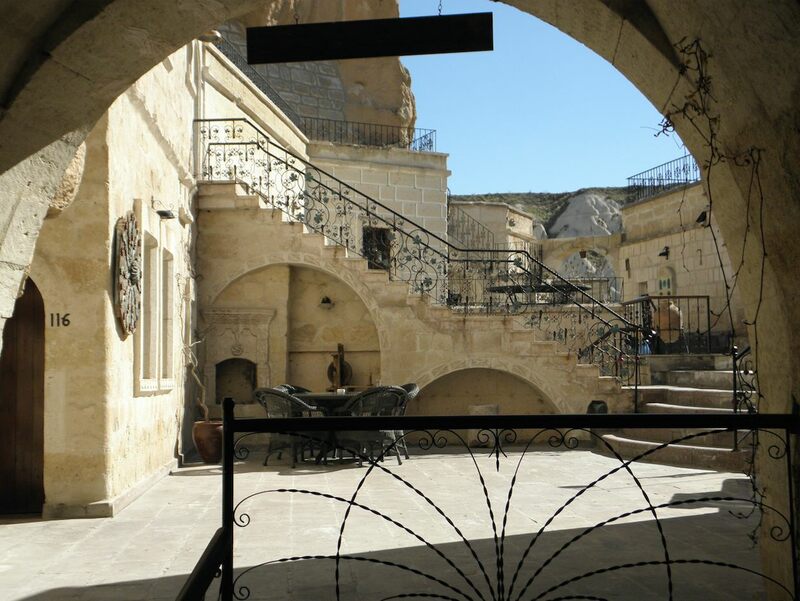 A unique cave hotel that combines houses and cave dwellings of the Hittite, Roman and Byzantine Periods with the luxurious comfort of the 21st Century. My suite on four levels is probably the most exotic hotel stay I have ever experienced in my life. 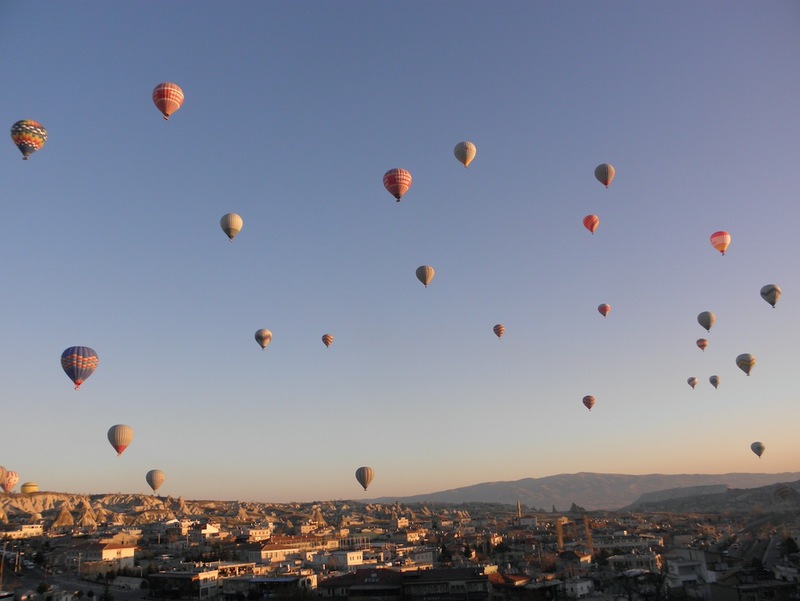 Every morning at six a.m., I would sit up in the large balcony watching the sky blush from pink to red with scores of hot air balloons rising up in the air like multi-coloured oval tapestries. That’s a memory I will not forget in a long while. 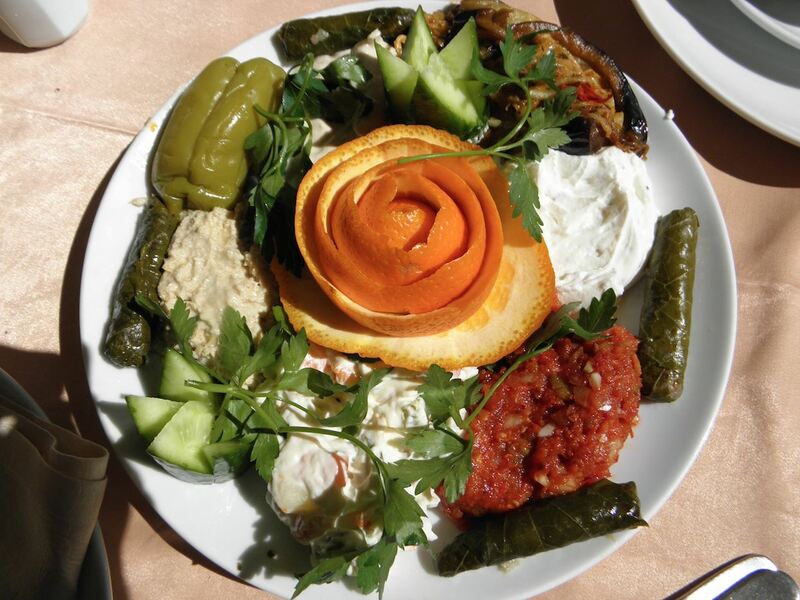 As I will always remember the delicious Turkish cuisine, a true culinary discovery. Every meal begins with a host of antipasti being wheeled out on a cart (much like in Israel, Tunisia, the Levant). Mains will be meatballs with bulgur (wheat balls stuffed with mince meat), vine leaves a la Grecque, avanos mantisi (Turkish ravioli topped with yogurt and tomato puree), kebaps cooked in clay pots. Those yummy memories crowd my mental canvas as does the delicious Indian meal I ate at Rasoi, an Indian restaurant situated just below my hotel. With the restaurant almost empty I had the good fortune to be served personally by chefs Vikram and Suresh who are determined to make a success in these desert-like surrounds. The chicken tikka so deliciously al dente, the daal tadka embraced rice with so much tenderness and the samosas seemed to have that extra crunch. If you are not the awkward type, go with friends to any of the listed hammams (Turkish baths) which cater to both sexes. After a turn in the sauna, get a good rub down and come out feeling rejuvenated. It’s not your French wine spa but is equally safe and clean. Cappadocia may mean the Land of the Horses, but for me it will remain The Land of Magical Surprises.